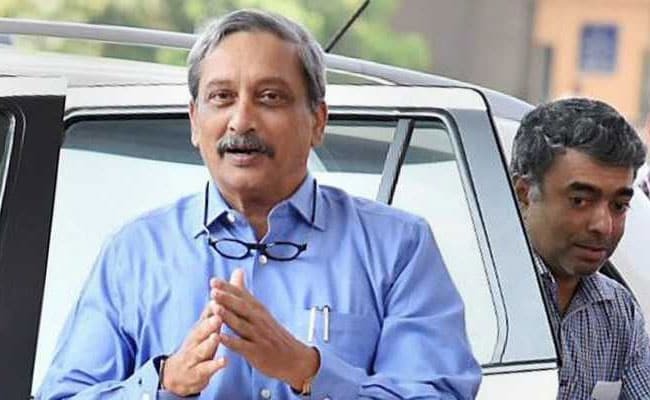 Over a cup of tea and a batatawada (potato chop) served on a paper plate, Chief Minister Manohar Parrikar on Wednesday evening engaged with Goa's editors over his illness, his willpower to overcome it and, perhaps for the first time, expressed anguish at the lack of quality young leadership in the state. The meeting was held in the conference room of the state Secretariat at short notice. It was Mr Parrikar's first formal engagement with editors of local print and television media platforms, after he returned from the US after advanced treatment for pancreatic ailment. The meeting, said the editors who attended it, was largely an informal affair, considering the nature of conversation which transpired between them and Mr Parrikar. Several editors who attended the meeting said on the condition of anonymity that while the exact nature of affliction suffered by the Chief Minister was not formally pronounced, what came through was Mr Parrikar's sense of grit to overcome the disease, as well as a broad hint dropped by the Chief Minister about a genuine leadership crisis in Goa presently and in the coming years. "The Chief Minister perhaps for the first time has voiced the need for good leadership. He said the state needed a leader who will take care of people, who is cultured and has character. The timing of such a statement, after he has returned from the US and is fighting a grave disease makes one think," an editor of a vernacular newspaper said. Mr Parrikar has been one of the tallest leaders in the state. In fact, he is the first politician from India's smallest state to be appointed as a full-fledged Union Minister, when he served for more than two years as the Defence Minister in Prime Minister Narendra Modi's Cabinet from 2014-2017. Once a political rockstar, who drew admiration from across the political spectrum, Mr Parrikar in recent years has seen his popularity wane considerably over his consistent failure to deliver on poll promises as well as his condonation of tainted politicians and officials. Another key takeaway from the meeting, an editor said, was Mr Parrikar's obvious determination to fight his illness. "He was telling us that he did not take any stress when he was ill. Although he did tell us that he is still not fully fit and he will have to return to the US after the coming Assembly session. Parrikar said he would be in the US for around five-six days. He also said he had the willpower against his illness," an editor of a local English daily said. Yet another editor said that during the meeting, a question was asked to Mr Parrikar about the moment doctors told him about his disease. "Parrikar was quiet for a second after the question. And then he said 'I was not scared'," the editor said.